Hello everyone and welcome to Julia Altermann’s blog hop to celebrate her 10k YouTube Subscribers! Julia: CONGRATS and Happy Birthday to you!!! Thanks for having me in the line up! I used a fun image from the Doodle Dragon Garden Antics set from C.C. Designs. The balloon is from Sweet Stamp Shop and the sentiment from the Circle Sayings stamp set from Simon Says Stamp. Anyone can join the hop! Just leave a comment by July 31 (midnight) and you’ll enter into the drawing! The winners will be announced August 1st on Julia’s blog, Just One More Card. Thanks so much for joining us today and happy hopping! I love that snail... Your coloring and the way the greeting goes round the snail is just perfect... Love your card! Love this card! Thanks for the chance to win! These characters are hilarious! Beautiful coloring. Such a cute image! I love the Happy Birthday halo! Your card is too cute!! Love it!! Very cute - the circle sentiment frames the image perfectly. Oh my, this is so cute. The snail is adorable with his shiny red balloon and I like the happy birthday circle around him. Adorable!!!! Just love the snail!!! Soooo cute! And wow on the coloring! U did a great job! Give me ideas on how to use my circle stamps! What a sweet Image and i like the CAS style on your Card. Great Blog Hop so far. Super fun and super cute! Francine, your coloring is amazing! Love this sweet, simple, beautiful card. How wonderful that you're celebrating Julia's birthday with her; she holds a very special place in my heart, as I'm sure she does in yours. Your snail has planted a smile allll over my face! Love the balloon! A most darling birthday card in every way! Such a fun card and as always amazing coloring ! Francine your coloring amazes me, every. single. time! What a darling card! Lovely card! I like it. Such a sweet card. Love the design! This is one of my FAVORITE stamps.BEAUTIFUL card. Love your circular sentiment and what a cute image! What a cute card for Julia! Love that beautiful red heart balloon! Such a cute card! Love it! I'm in love with this image. It for sure is a must have. Your card is so adorable! Thanks for sharing. What a sweet, sweet image. Very cute card! Very sweet card. I love it. Aww such a sweet card! Francine~ Greetings to you from Sarasota,Florida!!! I adore your card so cute!!! Love the Circle Stamps, beautiful card! What an adorable card and fun, too. Cute card with amazing coloring! Nice job! I forgot how much I love circle sentiments...you're card is adorable! I couldn't imagine anyone not smiling if they were to receive it. Lovely coloring. Thank you for taking part in the blog hop. So stinkin' cute!! Love the balloon! Such a cute and happy card! Love your amazing colouring! Great card! Your colors really pop! Cute card! Beautifully colored too! What an utterly delightful card! Adorable! Love that little snail. Fun and beautiful card as always!! Hehe the stamped image looks like a wormy creature..But a very cute one. Love the card! Love the colouring! This is so CUTE! love that circle sentiment! 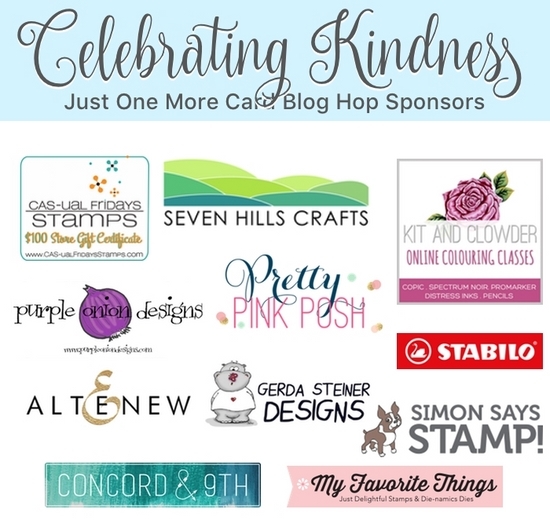 Thanks for being a part of this awesome blog hop to Celebrate Kindness! Very cute stamp. Great coloring, especially on the balloon. I follow you on Instagram, now so Happy to be directed to your blog. Love all your cards! Cute, Cute, Cute Card!!! It made me smile today. 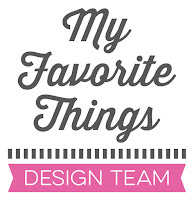 I am a big fan of CC Designs products. I love this little dragon. As always your coloring is beautiful. Thanks for a chance to win some great prizes and for helping spread Kindness. We need all we can get!! Beautiful cute and yet sophisticated with that restrained color palette! I love this image. Great card. Love the darling snail and clever card! Beautiful card! Love the bright happy colors and how you mixed stamp sets! This is cute and so fun. Love the coloring and the design of the card. Top-notch! 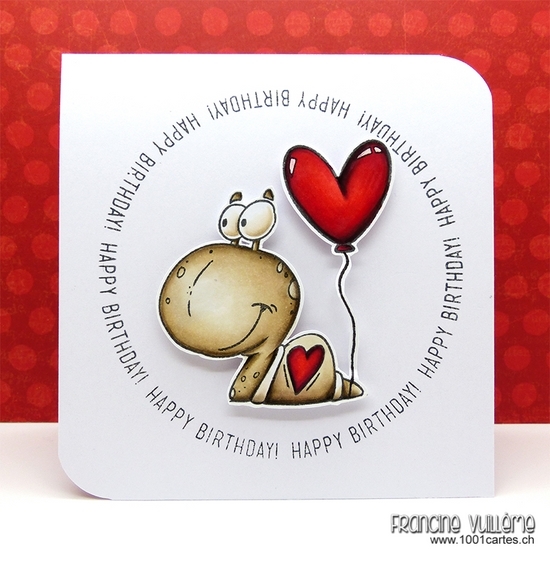 Great card; love the super coloring and shading job you did on the balloon and snail. WOW!!! Such an adorable card. Let's party and Celebrate! Fun whimsy creation. Like the eyes. Have a Bee-utiful day! Your coloring is amazing! Love this card! Such a fun card - and perfect sentiment for Julia's birthday. I allways admire your coloring AND your cards Francine!! This card is SO cute! what a cutie! thanks for sharing! How could anyone get this card and not smile?!! Oh my gosh so cute! I love that I get to see stamps I might not otherwise. Thanks! So cute!! Love the circular sentiment, too. I've got to try that. And that red just pops! I love the coloring on the snail, so cute! What a cool snail! I love it. Your card was so sweet - love the coloring! Cute card. Love your coloring. Such a cute card. Love this hOp! Such a cute card and one that would brighten anyone's day! I love this snail by Dustin. You colored it so well. This is so bright and cute. This card is perfect for Julia's hop. She always seems to find the sweetest critters to color and this one is right up her alley. What amazing skill you have to get that much dimension out of this fairly simple little guy. Love your clean card! Great use of white space! You've achieved a real perception of depth! Your card is just so CUTE! Thank you for sharing! This card is just too cute. You are so inspirational with your style & love seeing the different stamp companies that you use on your blog! Adore this image. So cute! What a super cute image!! Love your card!! You know...I have that same circle stamp set and haven't used it yet! Thanks for the inspiration...going to find some cute small images I have and make some card up!! What a truly fun card. Love the stamp! Such a cute card! I love how you colored it! Julia is Awesome!! And so are you! Super cute fun card. tfs! What a wonderful little card and your coloring is really great...thanks for sharing! this card is soooo cute. I wish I had your imagination! Love your card. The coloring is wonderful. A perfect pairing of the stamps. Thanks for the inspiration. I love that shiny balloon! Great card! This is a cute card. Thank you. Very cute Birthday card. What a fun critter and great colors. Awe, cute card! Love how the image pops off the card! What a cutie pie snail! Love the circle grubs stamp set...I need to get it. <3 Thanks for sharing your cute card! Those cards are so beautiful and simple. I love them. Thank You. Very cute snail and love the circular sentiment. awww...that's too cute!! great colouring!! What a fun card!! Thanks for sharing and congratulations to Julia on 10k subscribers!! I love snails and this one is adorable. Thanks for sharing! Awe - he is a cutie snail! Lovely card! thanks for being part of the hop - Happy Birthday to Julia and for having the Kindness Hop - thanks! Really cute card. You used some images I've never seen and think they are so cute! Such a cute and sweet card. Looking forward to checking out your tutorials as well. This is soooo cute and I love the products you used, TFS! Congrats and Happy Birthday to Julia! This is truly adorable Francine! Great job! This is adorable! Love the details. Super cute and adorable. What a cool card design! Ack! That snail is beyond adorable!! Such a fun and beautiful card, Francine. An awesome card! Love that cute snail & the circle saying is one of my faves! What a fun birthday card - I love the dimension you get in your coloring. That balloon in particular is just stunning! Here's to a beautiful card and celebrating kindness. Love the card and here, here for celebrating kindness. Love love this card the snail is so adorable along with its big heart thank you for sharing. Really cute, and beautifully coloured! Very beautiful cards! Thank you for sharing! Such a darling card, Francine! Beautiful coloring, too...As always, you have managed to inspire me to create...so glad you are part of the hop! So very cute! Love it! Such a cute card! I love the snail! This is so sweet and adorable!! Thank you for sharing and a BIG congrats to Julia!!! I've always loved this Circle Stamp from SSS and it showcases the stamped images here perfectly!! The whole design is bright and cheerful. GREAT card! What a cute snail! I love your card. What a fantastic happy card! Cute dino. I like the sentiments in the round. Your cards are always so dang cute. I just love your hearts! They are perfect! That card is just too cute. I'll have to check out C.C. Designs. Your coloring is awesome! Love the ring of sentiment on this! Love the Happy Birthday circle. I'll need to put that one on my wish list. Very cute card. Super cute card Francine. Love the sweet image and the circle greeting. I love the colors in this card. Just too cute!! Oh I think I have to have that cute critter!! Fits so well in the Happy Birthday circle!! Encore bravo pour ta carte ! What a cute but silly card. I like the snail definitely a card to put a smile on someone's face. Adorable card!! I LOVE it!! Awesome card! The coloring is just impressive!! Such an adorable card, you gave the snail so much personality, and your colouring is fantastic, love it! What a sweet card. Awesome coloring! How adorable! The red is so vibrant, I love it!! Great color combination! Such a fun birthday card!